Cans from Fat Orange Cat keep rolling through our front door these days. Not knowing much about these guys, we took it upon ourselves to do some light research on this East Coast brewery and we discovered a unique brewery, with a sense of humor, committed to sustainability. Here are some of our favorite highlights of what makes these guys unique in the craft beer industry. 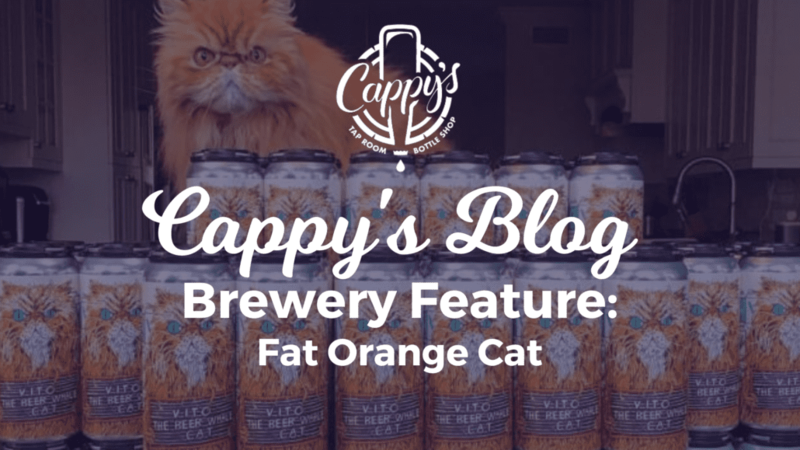 As one of the newest breweries bursting onto the Connecticut beer scene, Fat Orange Cat has been making a big name for themselves since opening their doors in August of 2016. Named after their late “Brew Master” Billy–actually a large orange cat (hence the name)–this seasonal brewery, located on a farm, is pumping out high quality, small-batch recipes and focusing predominantly on New England IPAs. Located in the Wetlands of the Salmon River Watershed of East Hampton, Connecticut, Fat Orange Cat has access to some of the highest quality water in the state. This allows them to brew those delicious NEIPAs with precision and little water manipulation. Head Brewer, Mike Klucznik got his start after his daughter gave him a homebrew kit for Christmas a few years ago. After winning multiple homebrew competitions Fat Orange Cat was born. He was later joined by Assistant Brewer, Carla Waclawski, who originally worked for the brewery as their Distribution Manager. Waclawski is also a freelance artist and medical illustrator. On top of all the delicious beer being produced by Fat Orange Cat, the brewery also partners with the UCONN Agricultural Department. Together they’ve developed a waste management plan that allows their waste materials to be used both on site and also as goat feed for local farmers. Brewery Spotlight: Old Nation The Birth of a Hippo. The Birth of a Beer.